Introduced in 1953, the Ferrari 250 quickly became the company’s most successful vehicle lineup. It included everything from road-legal grand tourers to the 250 Testa Rossa and 250 LM race cars. More importantly, the range spawned the iconic 250 GTO, currently the most expensive Ferrari ever auctioned (as of August 20, 2014). The 250 line came to an end in 1964, when it was replaced by two distinct families, the 275 and 330. While the 275 GTB/C stepped in to substitute the 250 GTO, the 275 GTB/4 took center stage as Ferrari’s new flagship model. Introduced at the 1966 Paris Motor Show, the GTB/4 quickly became popular with sports car enthusiasts and celebrities, especially in the United States. Even Hollywood actor and motoring icon Steven McQueen ordered one of the V-12-powered grand tourers, receiving it on the set of the "Bullitt" movie. McQueens example became the most expensive GTB/4 ever auctioned in 2014, when it crossed the block for $10 million. Because of this huge auction sum, we decided to have a closer look at this enticing, berlinetta-bodied Ferrari. 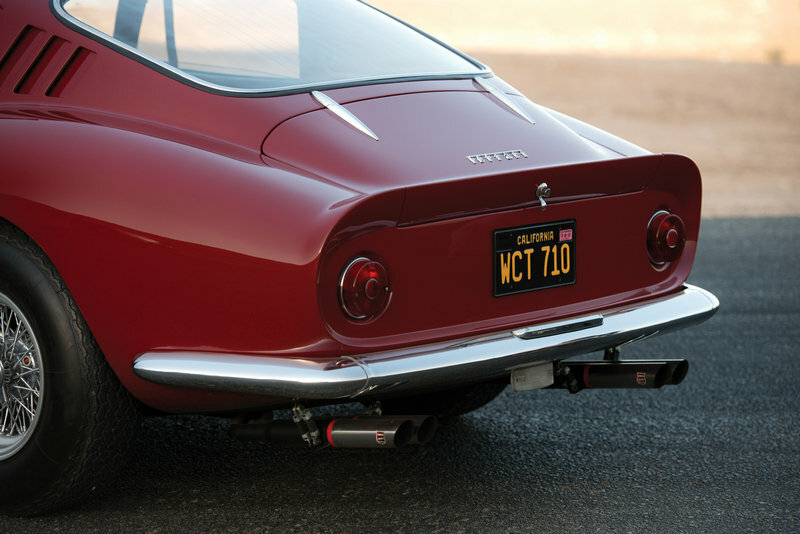 Much like the iconic 250 GTO, the 275 GTB/4 was highlighted by large, round headlamps placed under bulged plastic caps, simple, bi-color taillights around back, front fender fins and chrome bumpers and body trims. 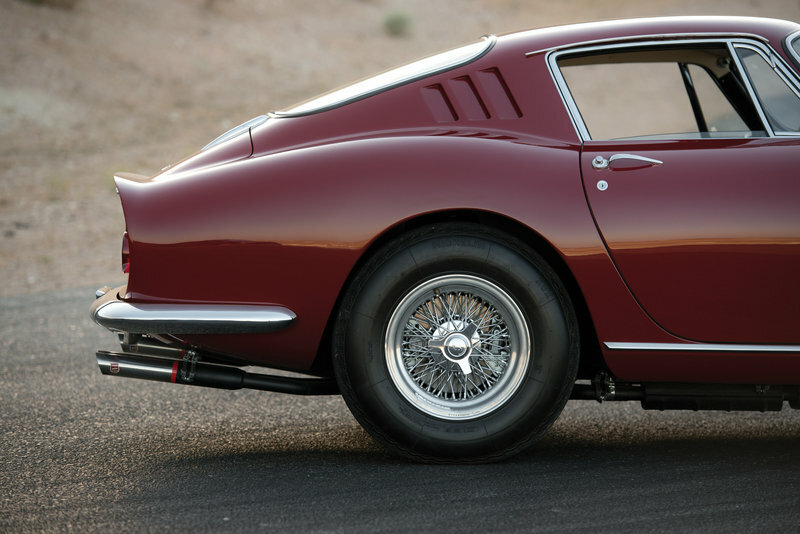 Considered one of the best-looking Ferrari berlinettas in history, the 275 GTB/4 was built by Scaglietti. The new body work differed from that of the standard 275 GTB, which was designed by Pininfarina. Although the two were similar as far as styling goes, both featuring a long hood, pointy nose, and a short rear section, the GTB/4 showcased a lower profile and a slightly longer wheelbase. 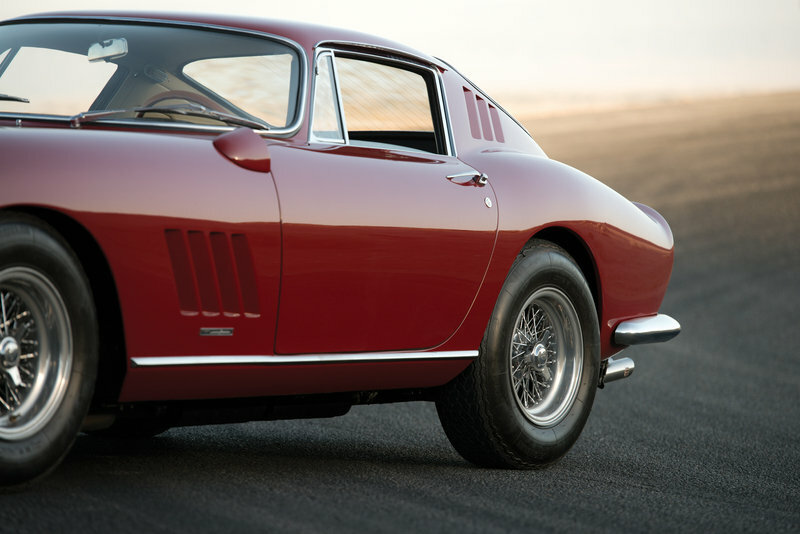 Much like the iconic 250 GTO, the 275 GTB/4 was highlighted by large, round headlamps placed under bulged plastic caps, simple, bi-color taillights around back, front fender fins and chrome bumpers and body trims. Although the 275 GTB/4 had a strong resemblance to the 250 GTO, Pininfarina never admitted it was inspired by its predecessor. The familiar wire wheels with the large, three-spoke center nut were kept on this model as well. Unlike most vehicles of the era, the 275 GTB/4 had its side mirror incorporated into the front fender. A wraparound dashboard connects with the door panels, which feature aluminum inserts at the bottom. 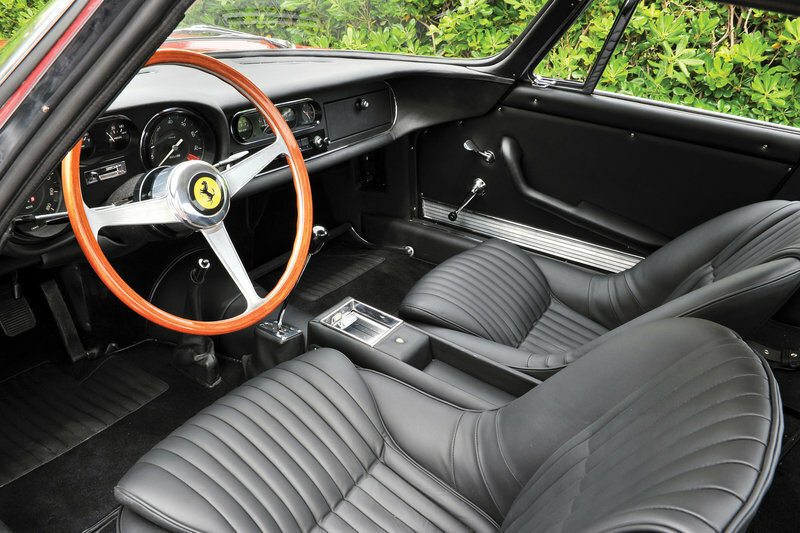 The 275 GTB/4’s interior didn’t stray far from the regular, Ferrari-badged grand tourers of the era. The cabin’s design was simple yet elegant. A wraparound dashboard connected with the door panels, which featured aluminum inserts at the bottom. Both the instrument panel and the center stack area featured four gauges each, while the wood-rimmed steering wheel came in a classic, three-spoke configuration. A couple of bolstered, albeit missing proper headrests, seats provided a certain degree of comfort and hugginess. Ferrari cars came with a high degree of customization options even in the 1960s, meaning the 275 GTB/4’s interior could be ordered in several colors and trims, ranging from sober black themes to lighter shades or lively hues such as red, blue or yellow. 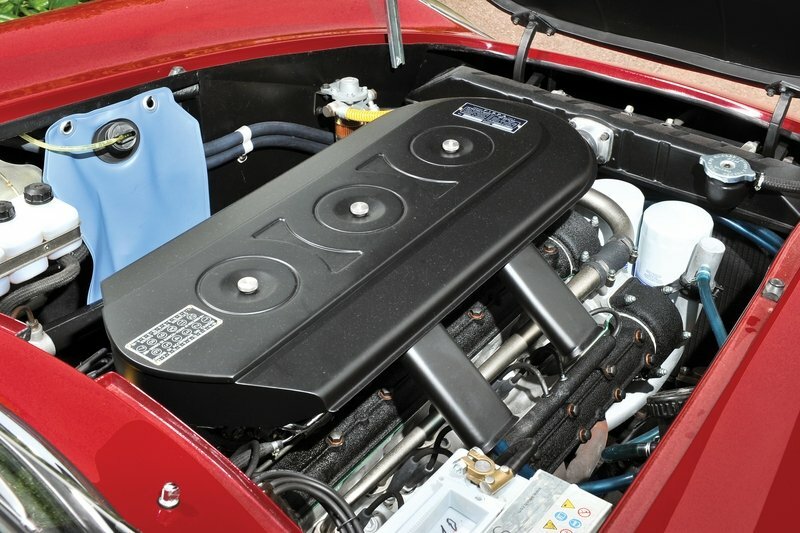 Like the entire 275 series, the GTB/4 was motivated by the legendary Colombo V-12 engine. The unit displaced 3.3 liters and featured six Weber carburetors. Mated to a five-speed manual transmission, the V-12 delivered 300 horsepower and 217 pound-feet of torque when new, which translated into a 0-to-60 mph acceleration of six seconds and a top speed of 165 mph. Quite impressive for the mid-1960s. 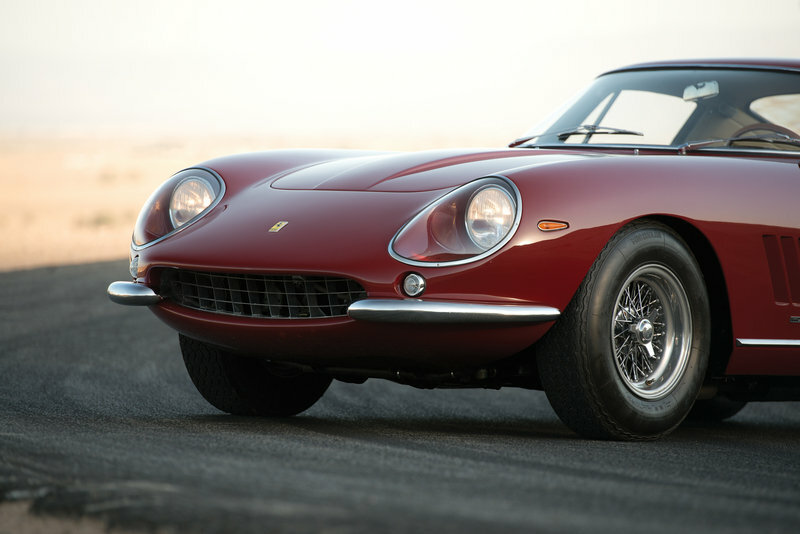 The Ferrari 275 GTB/4 was originally priced from around $10,000, depending on specs and options. Their market value has grown ever since, with several chassis fetching more than $1.5 million at auctions the past decade. An example previously owned by Nicolas Cage, for instance, which comes with matching engine and chassis numbers and complete with its original books and tools, is estimated at more than $3 million. 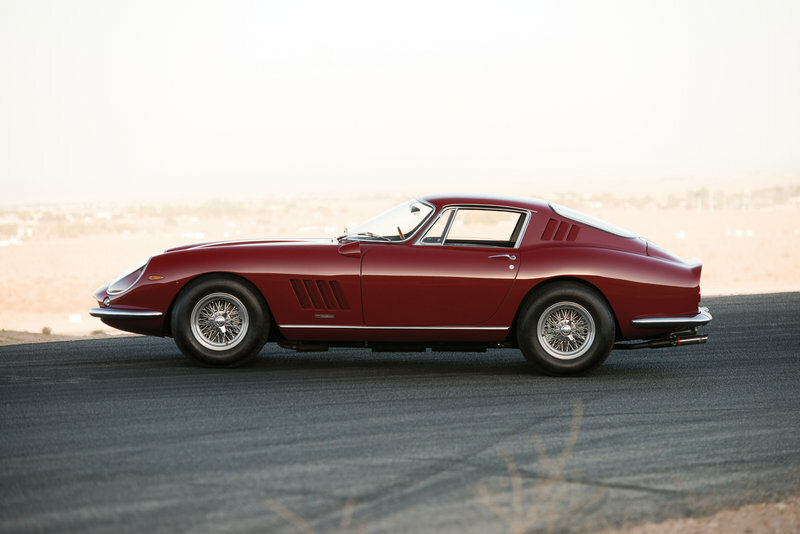 The dark-red model depicted above, which was delivered new to Hollywood and racing icon Steve McQueen, crossed the auction block for no less than $10,175,000 in August 2014, a record figure for the 275 GTB/4. Launched the same year as the Ferrari 275, the 350GT is Lamborghini’s first production vehicle. Built between 1964 and 1966 in only 120 units, the 350GT was greeted with great enthusiasm and established Lamborghini as a viable competitor to Ferrari. The two-door coupe was fitted with an aluminum, 3.5-liter, V-12 engine under the hood, while a five-speed, ZF manual transmission routed the 270 horsepower to the rear wheels. The 350GT needed 6.7 seconds to accelerate from naught to 60 mph before reaching a top speed of 158 mph. 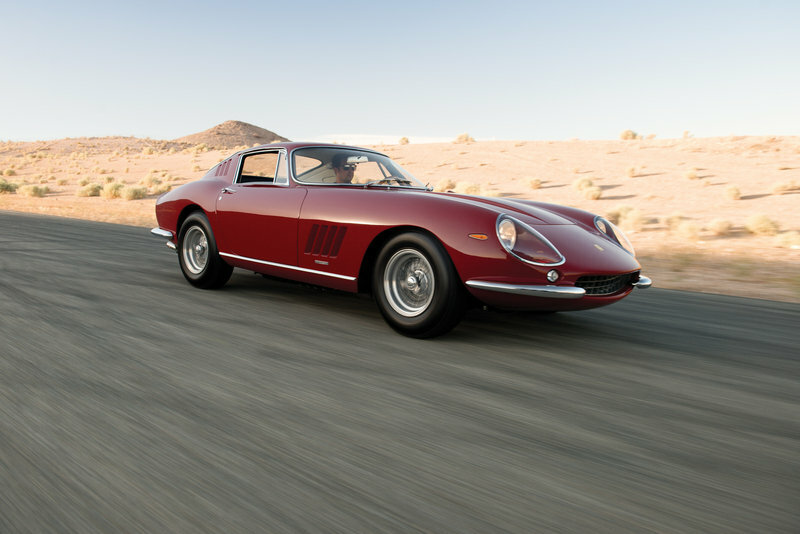 Its successor, the 400GT, came for the 1967 model year, as Ferrari had just launched the 275 GTB/4. 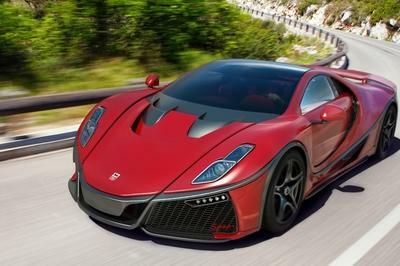 The updated grand tourer still shared many styling cues with its predecessor, but had its engine swapped for a 4.0-liter V-12. 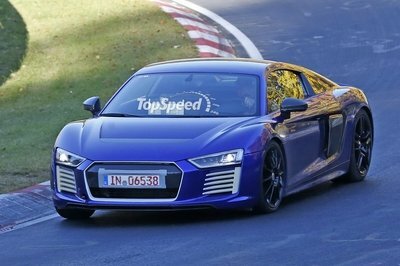 Output was increased to 320 horsepower. The 400GT was actually offered in two different versions. The standard model featured the same interior layout as the 350GT, while a slightly larger iteration came with two additional seats in the rear and a different roofline. 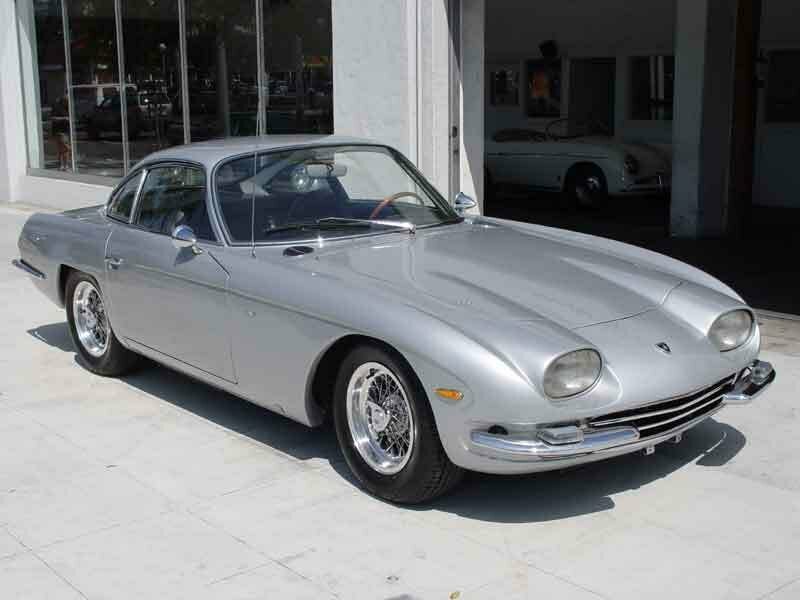 The 400GT was discontinued in 1968, when Lamborghini replaced it with the Islero. Although it didn’t benefit from the huge popularity of the 250 GTO, the 275 GTB/4 was and still is regarded as one of the most beautiful grand tourers ever built. It lacked the racy suspension of the GTB/C and it was nowhere fast as a Lamborghini Miura, but, in it’s segment, the GTB/4 delivered an unprecedented level of performance, staggering looks, and a premium interior for mid-1960s standards. The fact that Steve McQueen bought one for himself while he was shooting "Bullitt" only enhanced the sports car’s cool factor. Add the incredible $10 million auction bid and you can understand why the 275 GTB/4 is one of the greatest Prancing Horses ever built. Steve McQueen: Hollywood legend, racing driver, and car connoisseur extraordinaire. The Cooler King and the King of Cool. Few, if any, movie stars are so inextricably linked with classic cars and bikes than the star of Bullitt, The Getaway, The Thomas Crown Affair, Le Mans, and the brilliant motorcycling documentary On Any Sunday. Of course, many of the movie industry’s leading actors in the 1950s and 1960s enjoyed the glamour that came with exotic motoring, but only a handful were the real deal when it came to being fanatical about cars. Only a few of those actually convey historical importance and priceless desirability to a classic merely by their ownership, and at the top of that exclusive list is McQueen. The Indiana-born marine-turned-actor, who was just as likely to be found in a car lot as a movie lot, was an obsessive enthusiast. He owned everything from his beloved Jauar XKSS to a Mini Cooper to a Ferrari 250 GT/L Lusso, which was the car that kicked off his devotion to Ferraris. When he was at the height of his powers in 1967—the year in which he filmed both Bullitt and The Thomas Crown Affair—McQueen, impressed by the car that was featured in the latter of those movies, ordered a 275 N.A.R.T. Spyder from Chic Vandagriff at Hollywood Sport Cars. Frustrated with the N.A.R.T. being off the road, McQueen quickly bought another Ferrari from Chic Vandagriff, via Bill Harrah’s Modern Classic Motors in Reno, and this time it was a 275 GTB/4. To fill the gap left by the damaged N.A.R.T., McQueen bought a four-cam, specifically this car, chassis 10621, which was supplied to Modern Classic Motors by Maranello on November 21, 1967, after having been ordered a month earlier by U.S. agent Luigi Chinetti. Interestingly, Ferrari’s documents record that the factory price for the car was $8,244, compared to Chinetti’s price of $14,400! 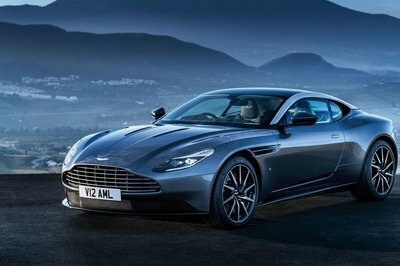 The improved Berlinetta may have appealed to McQueen, but the color of his new car most certainly did not. It was delivered in Nocciola (“Hazelnut”), a sort of metallic gold, and before he even drove the car, the movie star ordered it to be changed. The job was entrusted to Lee Brown, who did a lot of work on McQueen’s cars at that stage and had prepped the Mustangs for Bullitt. Brown picked up the car from Hollywood Sport Cars and mixed a color he dubbed Chianti Red, which was very similar to that on the Thomas Crown Affair N.A.R.T., the vehicle McQueen walks past in one scene and refers to as “one of those red Italian things.” The actor agreed to the color and added some other changes, such as taking the Borrani wire wheels and bespoke wing mirror from the crashed N.A.R.T.. and transferring them to the 275 (the first model Ferrari supplied with Campagnolo alloy wheels, because it was feared wire wheels were not strong enough), as well as sending the Nero interior off to Tony Nancy for retrimming. Brown recalls, “Steve was broken-hearted over the N.A.R.T. getting smacked, but he just really wanted another Ferrari to drive. He was in San Francisco filming Bullitt when he phoned me to say that he’d just bought a car. [He] asked me to collect it from Hollywood Sport Cars in Beverly Hills and to drive it to my shop and repaint it.” McQueen was photographed with the repainted 275 GTB/4 during the filming of the movie, and many on the Hollywood car scene remember him driving it regularly and with his customary gusto, one of whom was paint guru Junior Conway, who worked on the star’s cars for years. Conway says, “He drove his Ferraris so hard he broke the spokes on the wheels all the time, so he wound up putting solid wheels on the 275 GTB Coupe.” Conway was also called in on one occasion to repair some minor front-end damage. In 1976, Williams sold the Ferrari to J.P. Hyan, but following rear-end damage, it sat in Conway’s bodyshop in primer for most of his ownership, until California-based trucking magnate Robert Panella bought it in October 1980 for $32,000. Interestingly, when Panella took on the 275 GTB/4, it had some 20,000 miles on the odometer, and considering its lack of activity in Hyan’s ownership, the mileage confirms that both McQueen and Williams got plenty of use out of it. It was during Panella’s ownership that Richard Straman was commissioned to carry out a $10,000 N.A.R.T. Spider conversion, using Scaglietti’s own bucks, before the 275 was resprayed in yellow. The Ferrari stayed with Panella for some 16 years, before it was bought by Eric Zausner, who owned it for four years, until it wound up with noted UK-based collector Andrew Pisker. During the nine years that Pisker kept the Ferrari, it had another colour change, this time to Argento Autil. This occurred before Australian yachtsman and historic racer Peter Harburg was put on to the car by a friend and fellow Aussie, 1983 Le Mans winner Vern Schuppan, in 2009, and he subsequenty bought it. Schuppan, a member of Australia’s motor racing elite, counts a Le Mans win, a top-three finish in the Indy 500, and driving for BRM in Formula One amongst his many career highlights. As a McQueen fan, Schuppan had the vision to return the 275 GTB/4 to Steve’s 1967 specifications, so he acquired the car from Harburg and began a process of restoration at Ferrari Classiche in Maranello, Italy. Most of the original parts that were removed during the N.A.R.T. conversion were located by Schuppan and reinstalled by Ferrari, including the pristine rear glass and chrome surround, the rear deck (trunk lid), and the internal roof buttress metal pressings. In order to achieve perfect alignment and fit of the roof panel, Ferrar’s experts built a full custom body jig. So meticulous was the process carried out by Maranello’s finest in-house craftsmen that the 275 GTB/4 was even part-sprayed in its original Nocciola for assessment before it was returned to “McQueen spec” and sprayed over in Chianti Red, based on a swatch provided by Lee Brown himself. Since then, the 275 GTB/4 has been meticulously researched by former Porsche factory driver Schuppan, and it has been fully authenticated and certificated by Ferrari. Subsequently, the car has starred not only in the Museo Ferrari in Maranello (where it was a huge hit with visitors and the company was keen to keep it, with the car only being removed due to its sale,) but also at the Petersen Automotive Museum in California, where it was displayed alongside McQueen’s XKSS. 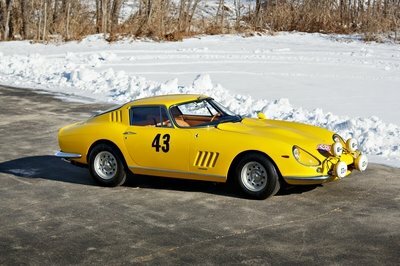 Even without the fantastically rich history that was painstakingly put together by Schuppan, which includes photos, parts, and interviews with just about everyone who has ever owned or been involved with the car, this 275 GTB/4 would be a compelling buy, because although always extremely desirable, in recent years there has been ballooning interest in Ferrari 275s, especially the coveted four-cam variants, which now rank among the most collectible of the Italian company’s road cars. Add in its King of Cool provenance—unrivalled in appeal when compared to sports cars owned by any other star—and it is something very special indeed. As chassis 10621 boasts known and transparent history from the moment it was purchased by McQueen until the present day, it presents a unique opportunity to own an exceptional example of an iconic Ferrari GT with full Ferrari endorsement and unsurpassed Hollywood history. 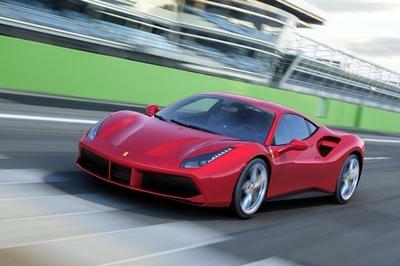 The Ferrari comes with a very comprehensive and detailed file of documentation regarding every period of its history. Please consult with an RM specialist to inspect the file on site.